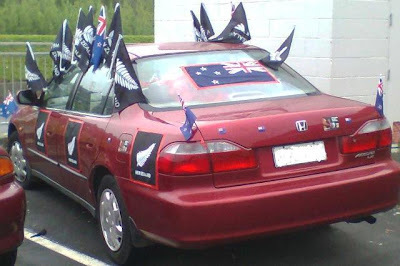 One of the things I have liked about the RWC is the car flags, from little window ones to full size national flags stretched across bonnets. They haven't usually been as nth level as this one though. that is one of the funniest things i have ever seen...i love that gag.